Fennel, a.k.a. sweet anise, has a light but distinct anise, or licorice, flavor. It's super crisp and refreshing when raw, but melts into a savory sweetness when slowly cooked. The tall green stalks look like celery with wispy dill-like leaves at the top. The stalks grow from a white onion-like bulb. All parts are edible, although the mild, tender bulb is most commonly used and served, but the fronds are delicious as a garnish or tossed into salads. Fennel is often available year-round, but is at its best during its natural season from fall through early spring. Like most cool weather crops, the plant bolts and turns bitter in warmer weather. It's happiest in temperate climates, it grows in warmer areas, but is often less "sweet" when brought to market. Fennel is delicious raw, served with sea salt to dip the pieces in, with dip, or as a crunchy addition to salads. When thinly sliced and simply dressed with a bit of olive oil, lemon juice, and salt it makes a refreshing salad all on its own that's ideal alongside heavy winter stews and roasts. Look for bright white, unblemished, firm bulbs that feel heavy for their size. Smaller bulbs tend to be sweeter and more tender, but large bulbs are often surprisingly tender, especially if you peel off the outer layer. The cut ends of the stalks should look fresh and not dried out and the cut bottom of the bulb shouldn't have more than a trace of browning at most. Store fell loosely wrapped in a plastic bag in the fridge. Be careful not to let it get too cold. Like lettuce and celery, fennel's high water content makes it prone to freezing in overly-cold fridges. 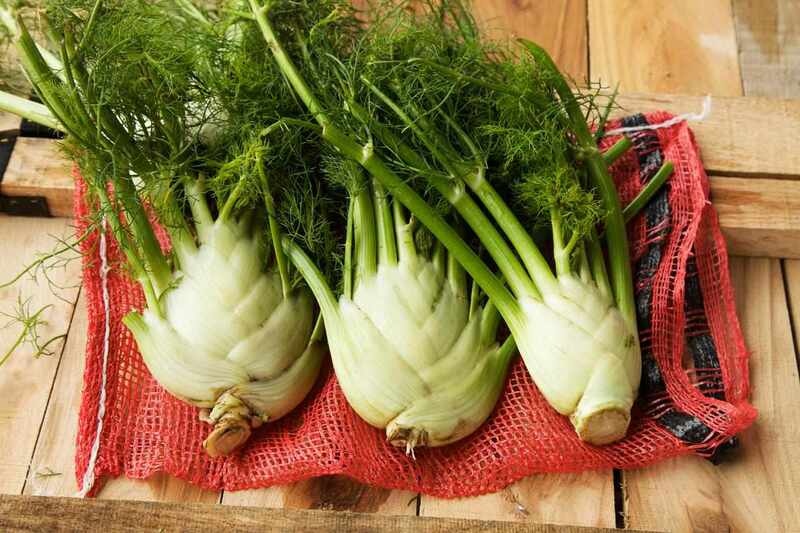 Fennel fresh from the farmers market will easily keep up to 10 days. Yes, There Is More than One Kind of Banana -- Do You Know Them All? What's the Big Deal About Meyer Lemons?